Along with marketing strategy, editing is the next most essential service for self-publishing authors (or any authors, for that matter). So what are the different types of book editing services available, and what do you get? A careful proofread, this includes for correcting errors in spelling, grammar, and punctuation. As well, the copy editor will check cross-references, headers and headings, and impose a standard referencing style. Depending on the manuscript’s current state, the copy editing service can include a more thorough edit called a ‘Line Edit’. Line Editing looks at paragraph flow, keeping to voice, sub-headings, and gives recommendations for improving the overall readability. 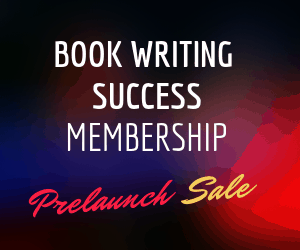 If you prefer support as you go, I recommend the earlier work is done as part of our book writer’s coaching program. It will save a lot of editing time later. As Power of Words analyse non-fiction titles, we look at your target readership, purpose of the book, and placement in the market. Here we examine whether the content is complete and appropriate, if the content will resonate with its target audience (or micro-niche). Your editor will ensure that material is well-organised and backed up by evidence. Jennifer (or on occasion, an approved editor) will carry out this work in Word and may also give you helpful marketing tips. Typical in traditional publishing, this ‘experienced eye’ looking at your work conceptually can really help to create a better book. You can try to save on costs, but be aware that some book editing services are not worth two cents. If you want a better quality outcome for less total cost, hire a freelance book editor. What does an Initial Review/Assessment of manuscript offer? Initial Review is looking over your whole book before editing so as to advise you on what you need in terms of content flow, book structure, and audience. For example, suggesting you add an introduction to explain how your theories came to be. This can add to your final book’s quality and saleability. If you as author go off and implement these suggestions, it will save you both money and time. Receive a two-page report, within 7 days, on your book’s strengths, weaknesses, and saleability. Please send your draft manuscript, synopsis (if written) and table of contents. What Personal Qualities Do I Bring as Your Editor? My own books centre on marketing for profit and managing your money. My favourite style of book is one where you are learning something but there is a compelling life story (or stories) running through it.